If you have older relatives, you want to make sure that they can live as independently as possible. This can mean helping them keep track of their medications, staying on top of household chores and shopping for groceries or home supplies. However, one thing that may be easily overlooked is encouraging them to stay physically active enough to maintain a good sense of balance. According to the U.S. Centers for Disease Control and Prevention, every year, one-third of all adults at least 65 years of age in the U.S. will experience an accidental fall. Between 20 and 30 percent of these people will suffer lacerations, head trauma or broken bones. In fact, accidental falls are the leading cause of traumatic brain injury. As the 65+ population in the country continues to expand, more will be at risk than ever before. If you have aging parents or relatives within this risk group, you can help protect them from this epidemic. A recent article in The New York Times pointed out that, in 2012 alone, more than 2.4 million older people in the U.S. were treated in emergency rooms for accidental falls. Eighty percent of patients develop severe mobility issues after their accident. Statistically, 25 percent of those who break their hips die within a year of the injury. However, those who do die or become severely disabled tend to be people who were either sick or frail before the accident even occurred. Injuries resulting from an accidental fall can thwart your aging relatives’ efforts to live independently. Even if they’re not hurt badly enough to be confined to their homes, they may still have difficulties getting around the house and keeping their balance, which puts them at risk for subsequent accidental falls. Stay physically active. One reason accidental falls tend to happen as people age is the fact that older people have a diminished sense of balance in part because their muscles are not as strong as they once were. Stronger muscles – and better balance – can be achieved with the help of exercise, particularly activities that strengthen the legs. 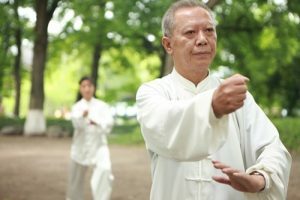 Tai chi and similar regimens will also help improve balance. Eat a nutritious diet. Make sure your older relatives consume foods rich in vitamin D and calcium, which can both help strengthen bones and protect them from fractures. If necessary, you can talk to their doctor about whether they need a supplement. Make the home safer. To prevent accidental falls in the home, clear all walking areas of tripping hazards, such as scatter rugs. You can also install grab bars, stair rails and slip-proof flooring for the bathtub and shower. See an eye doctor. Vision is an important component of good balance. Consulting an eye doctor will help, particularly if a prescription for corrective lenses needs to be updated. Ask about medications. Certain drugs, either prescription or over-the-counter, can cause drowsiness or dizziness. Ask your relative’s doctors about these hazards and if alternative medications are available. No two people are alike, so the risk factors for accidental falls that your relative faces may be unique. Talk to a health advisor for tips on how to manage these risk factors and other potential complications of eldercare. In the end, you’ll be helping your loved ones achieve independence.